Unsweetened. Delicious, smooth taste. 19kcal per 100ml. No funny business. Dairy, nut and gluten free. No preservatives or colours. Vegan. Suitable for vegetarians. Simple and Plant-Based Our simple blend of coconut water and coconut cream makes our delicious coconut milk. Delicious and Nutritious Naturally occurring electrolytes and vital nutrients in every sip. 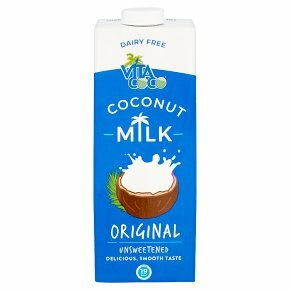 A Delicious Alternative to Dairy Delicious and satisfying with no dairy, soy or funny business.